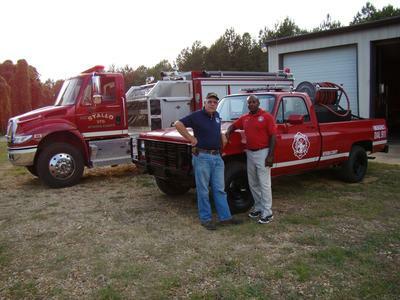 The Neshoba County Emergency Management Agency serves as the coordinating agency for fire protection in the unincorporated areas of Neshoba County. The network of twelve (12) Fire Protection District serves resident of Neshoba County. This network consists of over 20 stations with a group of almost 300 volunteer firefighters and emergency responders. 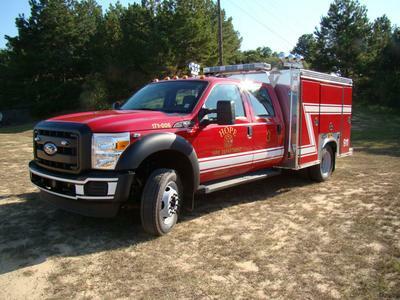 Since 1993 The Neshoba County Fire Service in cooperation with each of the Fire Protection Districts has purchased 17 new class A Fire Trucks to provide protection to the citizens of Neshoba County. The Hope Volunteer Fire Department has placed a new quick attack apparatus into service.The Ford F-450 4x4 Crew Cab Chassis was acquired from Marshall Ford at a cost of $32,755. The Body was manufactured by Deep South Fire Trucks of Seminary, MS, at a cost of $61,850 and features an all aluminum body with an integrated skid unit. The skid unit is composed of a 300 gallon poly tank with 10 gallon integrated foam tank and a Darley 375 GPM pump with integrated around-the-pump foam capability. The unit has both 1" booster hose for vegetative fires and 1 1/2" inch fire hose for vehicle and structure fires. 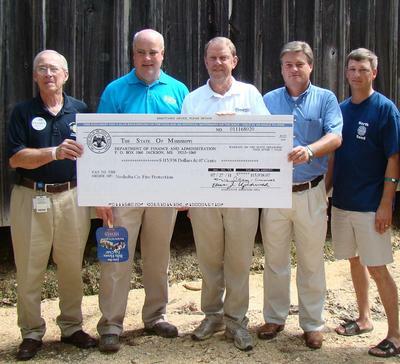 Picture (from left to right): State Fire Coordinator Larry Barr, State Representative C. Scott Bounds, Insurance Commissioner & State Fire Marshal Mike Chaney, District 2 Supervisor Kevin Cumberland, and North Bend Fire Chief Donnie Luke.